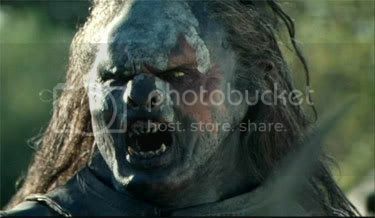 No-one played as many parts in The Lord of the Rings as New Zealander Lawrence Makoare, who played no less than three roles in the trilogy: Gothmog, the Witch-King and Lurtz. James Bond fans might remember him as Mr. Kil in Die Another Day. 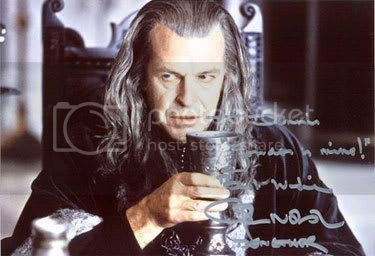 Australian John Noble will forever be remembered as Denethor, the mean steward of Gondor and father of Faramir and Boromir. Noble is not only an actor but also a director as he has directed over eighty plays and is a voice and acting teacher. I had an interview with both men that you can read on this page. It has never been published before on another website. Enjoy. Can you tell us how you got your roles (Lawrence Makoare: Gothmog, the Witch-King and Lurtz, John Noble: Denethor) in The Lord of the Rings? bigger part by the end of filming the first of the trilogy. I was offered the other roles when the filming of the other films was in process. 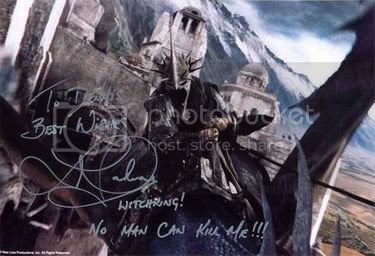 I got the part of the Witch-King after I heard that the actor that was chosen for the role was not up to the standard of the characters physical capabilities. With Gothmog, I was given this role I think, because of the prosthetic applications involved and the fact that most actors are uncomfortable with the application. But this is only my thought! Others may have different opinions. Lawrence, about your three characters: which one is your favorite? And which one was the most difficult to play? Lurtz would be my favorite and the most difficult of them all, because of the people in the movie that played opposite of me: Viggo Mortensen (awesome dude) Christopher Lee (a scholar and a gentleman) and Sean Bean. He had an awesome death, I had the easy job to shoot the arrows but that was great acting! The difficulty was being the physical side of the character. The physical training I had to do for the fight scene between Aragorn and Lurtz was quite draining both mentally and physically. It was harder being in costume and character than out of. But all this training had prepared me for the fight scene between Eowýn and the Witch-King which took us through the same training techniques. But I really have to take my hat off for Miranda Otto for enduring all the physical training and never giving up. Although I thoroughly enjoyed acting alongside all the actors with all three characters. Lurtz was the bomb!!! Where did you get your inspiration for your parts? Did you look at specific people or monsters for instance? That was a hard thing about these characters, where do you look for inspiration, for a character you have never heard of, and have never seen before! I was given a synopsis of the character, but had to wait until I was actually in costume to bring the character out. The final look of the character was what I played with to bring the characters out as you really cannot work out characters from a description. I mean, you can work with it, but I think that once you are in full costume, it can totally change the view of the actor and director regarding how this character could or should be played. I got mine from King Lear. Lawrence, did you provide the voice for your three characters? I did use my voice for all my characters, but whether they used my voice in the final cut is anyone’s story. I do know for sure that my voice was used for Lurtz. Gothmog and the Witch-King are a question mark as there are a few other actors I know that are claiming this credit, so I will leave it at that and give them their moment of glory. Had you ever read the book before the casting started? If not: have you read the book now? Never read the book! But friends of mine have, I asked one of my good friends who had read the books sixteen times (which was sixteen times more than I have), about the storyline when I found out about the audition. He filled me in on the basics and I went from there. To this day I have still only read the title. I am not much of a bookworm, more of just look at the pictures and flip the pages. I had not read the book. I have now. It is said that the nine Fellowship-actors formed a tight and close group on the set. How was it for the other actors? Did you fully interact with them? Or was it really a separate group? We are New Zealanders! We don’t do things separately! We either do it together or not at all! If a party was organized everyone was invited! And I do mean everyone! It was purely up to the individual whether to attend or not! We are a carefree lot, and whether you attend or not, it will not be taken any further. But BOY! You would miss out on a great party if you didn’t! So, in answer to that, it was not a fellowship of nine, I would more go into a 1000 strong friendship that will last forever. We were all close in New Zealand. The hobbits in particular spent most of their time together on and off the set. Are you still in touch with anyone from the cast and crew these days? YES! 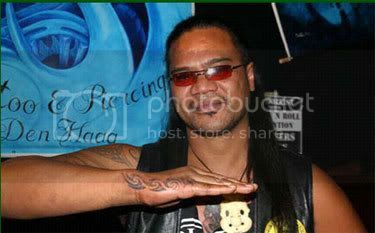 I meet up with a lot of the local talent in and around New Zealand and the others at conventions I attend around the world. Yes, we still make contact sometimes. We have often met eachother at fan conferences over the last few years. What effect did the trilogy have on your personal life? Getting offers to travel around the world and party with all the fans, which is absolutely FANtabulous!!! No other movie that I have done has offered these opportunities. It has been an honor to represent my small parts in these movies. It has changed my life dramatically, where travel and recognition is concerned, but my everyday life is pretty much the same. Little effect personally. Professionally it was a rewarding experience to be involved in such a brilliant production, and to work with such a wonderful group of people. Lawrence, there are a lot of rumors regarding the movie adaptation of "The Hobbit". Have you ever heard anything of a possibility of being cast again for this movie? Now that’s an easy question! NO!!! Would you be willing to be in this movie? Can you tell us about your experiences with Peter Jackson? How was he to work with? There is not enough space to write about this man and Fran, but in a nutshell: I would put my life on the line for these people. Jackson is a highly intelligent leader of men. I found him brilliant to work with. His direction was insightful and clear. I have the highest respect for Peter. It is often said that the atmosphere on the set was great. What is your opinion? Well, that depends. I had a wake up call at 3.00 am every morning to be in makeup at 3.45 am. Then I had to be on set at 9.00am and work a twelve hour day and spend a further hour and a half to take the makeup off. In some cases I had an 11 hour makeup session and four hours to take the makeup off after we had finished the 12 hour shoot! The atmosphere may have been great, awesome, fantastic, irreplaceable, electric, and outrageous at times and fun all the time, but I was shattered! And, I had to play another character while I was playing a bad character: a gentleman! So there, that’s my opinion. The level of enthusiasm and commitment from everyone involved was of the highest standard. It was a joy to be involved. I'm sure a lot of strange, funny, exciting things must have happened during the making of The Lord of the Rings. Can you share some? NO! Ask me at a convention! If I ever go to anymore! My experience was very different from some others. 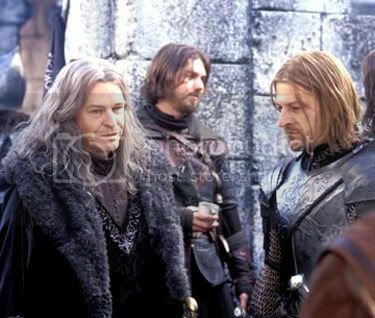 Denethor was involved in only very dramatic scenes, so the atmosphere was highly charged and very respectful. There was litle scope for 'funny' events. John, most of your scenes are with David Wenham, Sir Ian McKellen and Billy Boyd. How were these men to work with and how did you prepare for your scenes? David, Ian and Billy are all highly skilled professionals. We didn't prepare off set. We went with what we discovered in the moment. My own preparation was intense because of the complex disturbed character I was playing. I researched thoroughly. I did spend a lot of time in isolation preparing for scenes. John, What is your favorite scene in The Lord of the Rings? There are many. The scene between Denethor, Pippin and Faramir where Pippin sings, Denethor gorges himself, and Faramir rides to battle is probably my favorite. 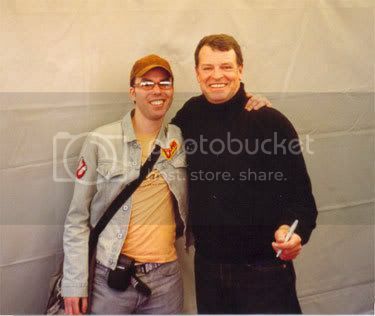 Lawrence, after The Lord of the Rings you have done a lot of conventions all over the world and met thousands of fans. What are your most memorable experiences and are you still attending conventions? Just too many to mention! Every convention apart from one I have attended has been so awesomely wicked. The other one sucked! Not because of the fans but the organizers! They were not in it for the fans but for the money. I am sure the fans that attended this crap convention can back me on this. They are still organizing different conventions. You know who you are! RingCon in Germany I would say is the ultimate in professionalism, organization, attendance, humor and entertainment. In my humble opinion: the CON of CONS to attend!